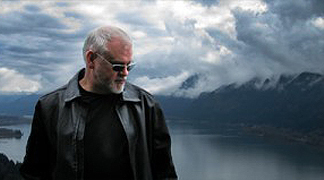 In each album release Paul Ellis finds his moment. A big-thinker, his music is realized merely to be itself. The wonder of it is how often the experiments succeed. 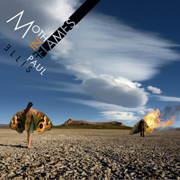 Moth in Flames (73'17") is recognizably Paul Ellis. On this coolly assured album, nothing is overblown - and none of it fails to hold our interest. Moth in Flames flits between subtleties and intricacies, and a guiding fuss-free propulsion. While the tightened structure of plump sequencer notes and sonorous synth-strings command the foreground, the background teems with nuanced modulations and ephemeral accents. Shifting, layered planes of sound present shimmering electronic textures - as heavens-reaching notes sketch jumpy dotted rhythms. Once the listener's internal narrative aligns with Ellis' arrangements, our minds begin moving faster than our heart rates. The polymetric pulses of Moth in Flames, and its complex interlocking patterns and repetitive motifs, deliver a potent sense of motion. Also featuring an agreeable melodic density and chord changes that beckon with a seductive pull, each listen brings us readily into contact with Ellis' controlled passion. It is in this transformation of the knower that the living movement of music is transferred. The listener grows and changes with these ten starry-eyed tracks, until the music eventually returns us to ourselves.